281 p., 12,5 x 17,3 cm. 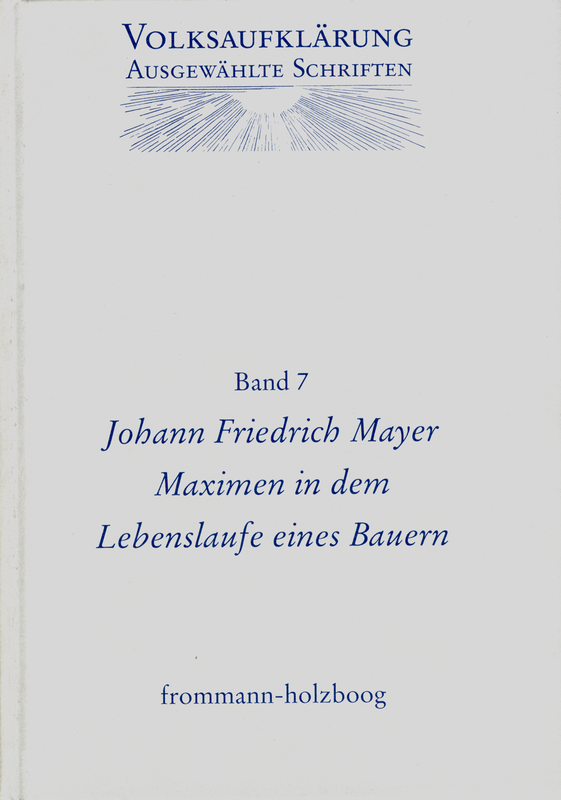 This work by the pastor of Kupferzell, couched in terms of an entertaining story, deals with all those subjects which affected the Enlightenment of the peasantry. In addition to numerous original and interesting opinions, observations and ideas, this work introduces a self-assured and independent-minded peasant who emerges as a teacher and a role model of his social class and does not require any instruction from educated people.